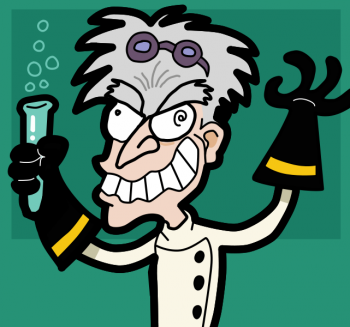 A Swedish man bravely furthering nuclear science in his own home has been arrested by meddlesome police. As the popular saying goes: "Everyone needs a hobby." Some of us play videogames, some of us play sports, others collect stamps, coins or clippings of an unwitting celebrity's hair, and some of us attempt to build nuclear reactors in our kitchens. That's how Swedish gentleman and scholar Rich Handl was spending his time when police barged into his house and arrested him for "unauthorized possession of nuclear material." Handl, who is 31 and has "always been interested in physics and chemistry," was apparently storing radioactive elements including Radium, Americium and that old-standby Uranium, in his apartment because he wanted to "see if [was] possible to split the atom at home." Apparently, Handl's blog, in which he described his experiments, including one that went particularly awry and caused a "small meltdown" on his stove, wasn't enough to convince local authorities to pay him a visit. It took a call from the amateur scientist himself to bring to the police to his door. Worried that perhaps unleashing the power of the atom in his kitchen without any safety equipment save a sink and a box of chocopuffs might just violate a few laws, Handl made a friendly call to Sweden's Radiation authority to make sure everything was above board. The authority responded by immediately calling the police, the bastards. Police arrested Handl back in July but have declined to comment on the case since then. Though no "dangerous" levels of radiation were detected in his apartment, the curious Swede still could face up to two years in prison if convicted. UPDATE: Helpful reader Dismal Purple has provided us a link to what appears to be Handl's aforementioned blog.